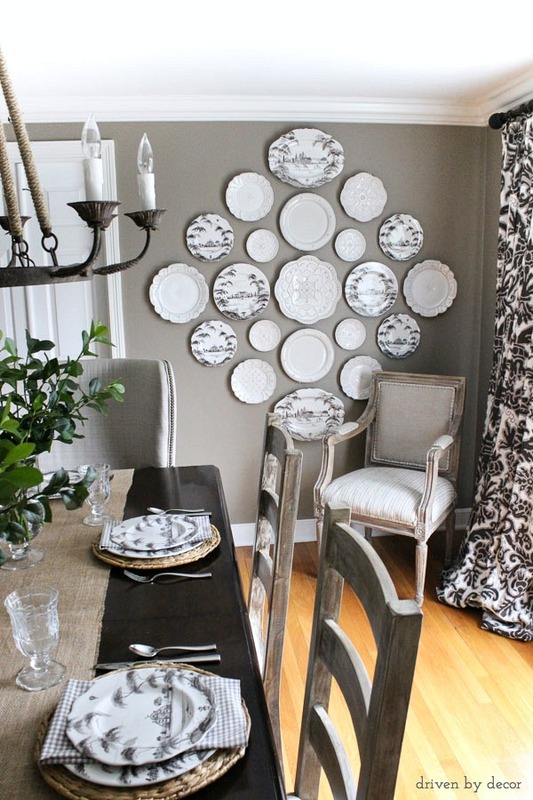 One of the easiest ways to complete a space is a decorative plate wall. 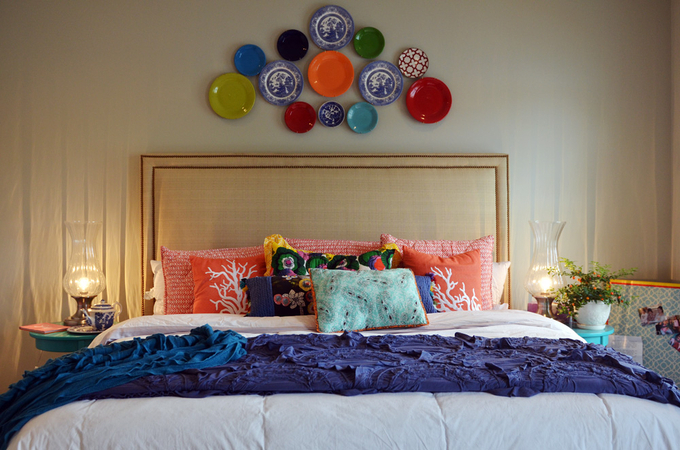 Plates add a fantastic focal point to a room. To me they add character, charm, and they give any space a sense of uniqueness. I bet you have a few random plates that could get the ball rolling for you or maybe you have an entire set of dishes that has been retired for a while. I say pull them out, and hang them up! Let me show you some inspiration. This first picture is one of my favorites. Gorgeous, isn't it? I love the red and white transfer ware and the dramatic statement this presentation makes. Here's a fun, colorful idea. They even work well in a small space. I love this neutral inspiration using texture and nature. Makes for a beautiful spot. 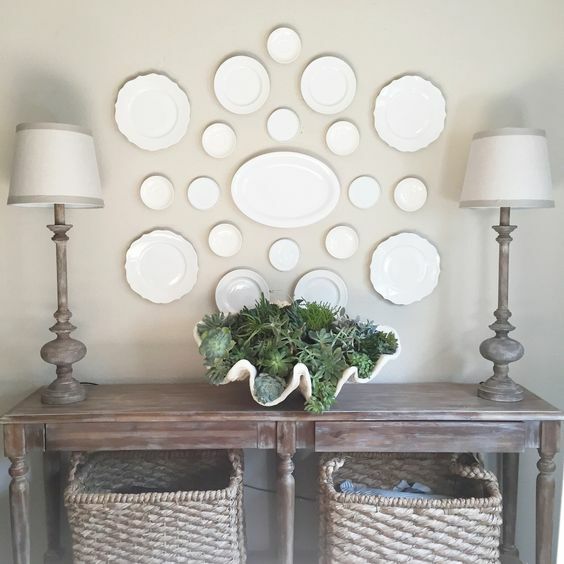 If you love the look of a plate wall, but you're not sure where to start, head to your local thrift store. Old and not-so-old plates are usually readily available in tons of sizes and rarely cost more than a few dollars. Then, when you get home, mix them up with what you have to create your unique wall. Later this week I'll show you some other ways to display plates to enhance a space or high light a collection, and I'll share a few spots in our home where we've used plates. Are you displaying plates anywhere in your home? Love all the plate arrangements. 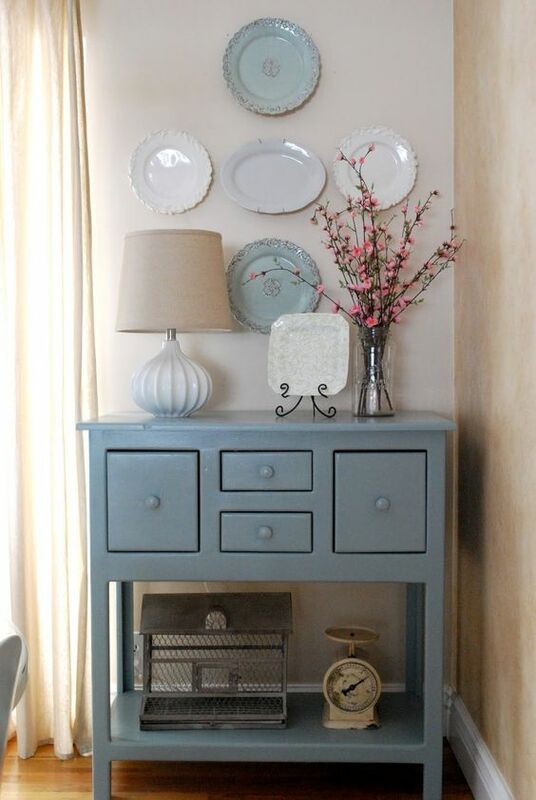 Really like the cute shabby nest table!